Butter is no longer just for toast or pancakes in the morning. It is being added to coffee too! You heard that right – Butter in coffee! However, no matter how strange it may seem, more and more people are trying buttered coffee, also known as Bulletproof Coffee or keto coffee. Before you dismiss this as just another bizzare trend, keep in mind that the people who are doing this think it’s the latest, best thing to happen to coffee. As a matter of fact, most folks who add butter to their coffee wish they heard about it sooner. Brew a cup of coffee and ensure that there is enough room for a small mixer. You don't want your hot coffee to splash all over the place, it could seriously injure you! Mix 2 tablespoons of butter into your cup of coffee. See how much is a stick of butter here. Blend it using a milk frother. You could try mixing it with a small whisk if you have the ambition and elbow grease. If your coffee has cooled down too much by this point, warm it up in the microwave. Pay close attention to it so that it doesn’t boil over. You can add a pinch of cinnamon or cocoa to change the flavor. This type of coffee started with Dave Asprey in Silicon Valley when he tried some Tibetan yak butter tea and decided to make coffee in a similar manner. Dave Asprey is the reason that butter ended up in coffee. From that day forwards, the overweight Asprey not only lost all his excess weight but claimed that his mental processes got very sharp. He claims that this is the most satisfying, creamiest coffee you will ever drink. Of course this will add time to your morning cup of java, but many people feel it’s worth the extra step. Naturally, you may feel skeptical the moment you think of butter being added to coffee considering how butter is full of fat. However, not all types of butter are bad for your health. The right kind of butter will make all the difference in terms of keeping your energy levels on an even keel. An added bonus is that you may even be pleasantly surprised when you see how creamy your cup of coffee becomes when you blend butter into it. On a diet or nutritional plan? See How ﻿﻿﻿Many Calories Are In Coffee?​ You still need to be careful about ingesting the extra calories and fat. You may find that when you add butter to your coffee your cognitive ability increases for hours without a sudden crash. When you mix it with coconut oil, which increases healthy fats even more, this drink gets totally amped up and will encourage k﻿﻿﻿﻿﻿﻿etone﻿﻿﻿﻿﻿﻿ production. More ketones produced mean that your body is breaking down fats, hopefully a little extra than consumed. When you drink butter coffee to start the day, your body gets into a fat burning routine the entire day which may help you lose weight. Grass fed butter contains conjugated linoleic acid, or CLA, which has been proven to reduce overall mass body fat in people who are overweight. Clayton South’s Study On CLA. Healthy fats help to create hormones and cell walls within the body. Butyrate is the short chained fatty acid linked to being many potential benefits. Is that enough to compensate for the amount of fat in the butter? Does this mean you should drink even more Bullet Proof coffee? Perhaps not, but it’s a nice to know that there may be some benefit. Many cows are soy fed or corn fed. It’s filling and cheap. The thing is that this type of food is something that cows are biologically not really supposed to eat and are not able to properly digest it. Health advocates say that the milk that comes from these types of cows produces the bad kind of fat that you don’t want to consume. The alternative? Use a butter from grass fed cows. 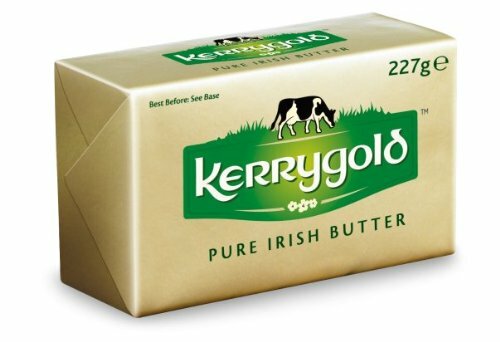 Kerrygold butter seems to be a popular choice. Cows that have been fed with grass may produce the best beef, milk and butter. It contains other nutrients, that other butters don’t, such as Vitamin K2 that helps decalcifies your arteries and butyrate which is a fatty acid which acts as an anti-inflammatory. Keep in mind that just as you can’t put any type of butter into your coffee and the coffee beans can’t be just any type of coffee bean… right? Bulletproof Coffee advocates suggest to use a low toxin coffee. This topic is beyond the scope of this article but The Myotoxins In Coffee Myth should clear up the low toxin coffee bean confusion for you. For folks on the go, this may be a great alternative to cooking a big breakfast. Reportedly, your body is able to perform better when the right calories and fats are what you eat rather than a pile of carbohydrates, such as toasted bread. 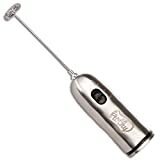 If you don’t already have a milk frother, you will need one, unless you plan on using elbow grease to whip up your morning butter coffee cup every day. Observe the way you feel a few hours after taking the coffee. Do you feel the same caffeine crash or has something changed?